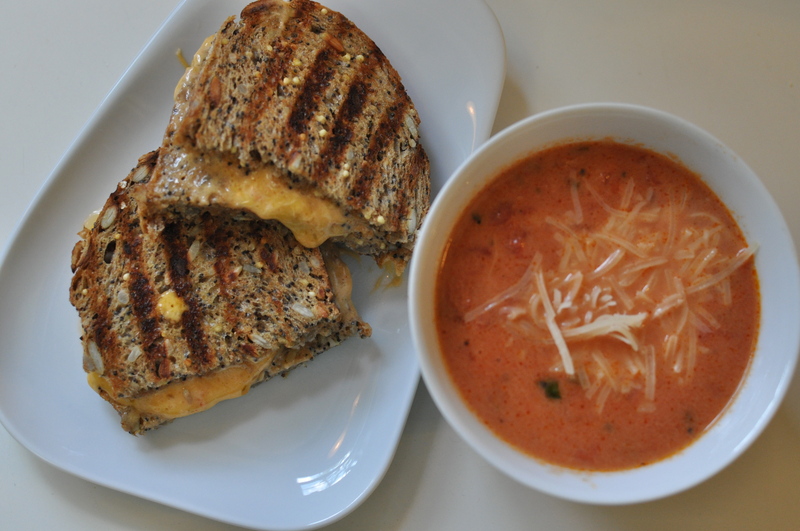 I’ve always loved tomato basil soup. It started when I got my first waitressing job at Vine Park Brewery in St. Paul, MN. The head chef Anthony made amazing dishes that we all loved to try. It was there that I realized there was more to meals then meat and potatoes or mac n’ cheese. Food was another art form and it was delicious. Anthony made a mean tomato basil soup, which unforetunely I can’t get anymore but have been trying ever since to make it the way he did. This recipe I found at everyday occasions, though it’s not Anthony’s (I’ll keep looking and reinventing recipes) is a pretty good substitute. Enjoy! In a saucepan, saute garlic in olive oil on medium heat for 1 minute – being careful not to burn the garlic. Add the crushed tomatoes. 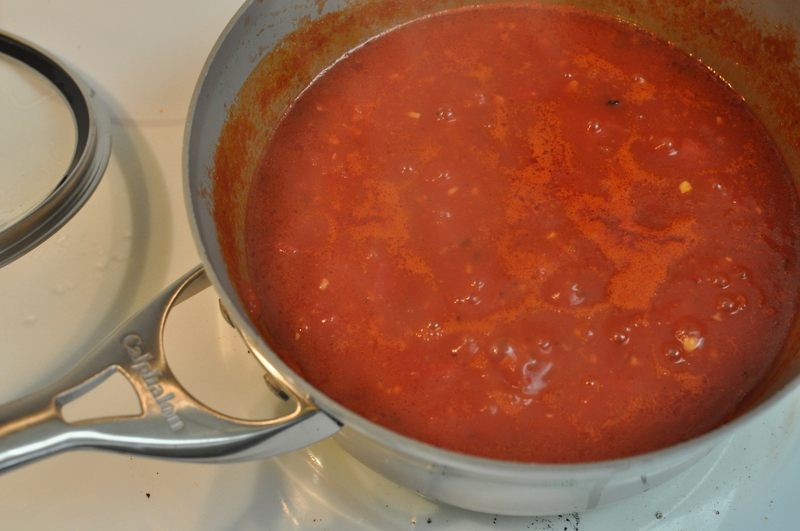 Add the whole tomatoes one at a time, squeezing them into the pan to break them up. Add the juice from the whole tomatoes, as well. Add chicken stock, salt, pepper and sugar. 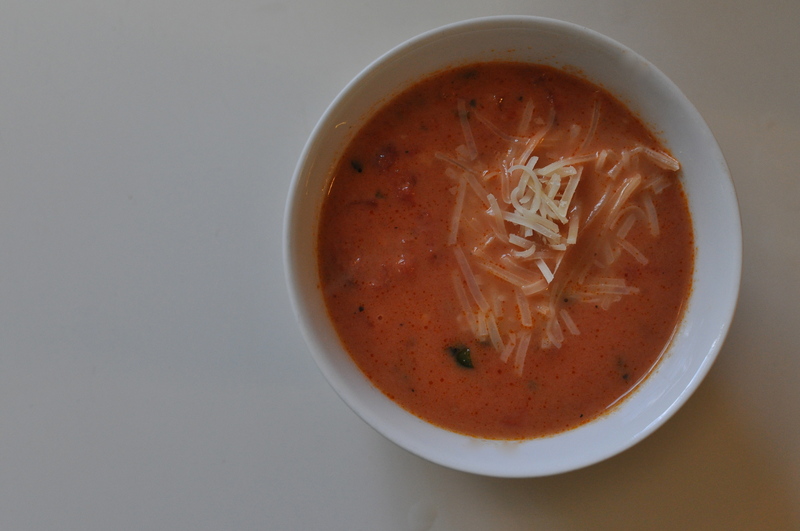 Cook the soup on medium at a simmer for 10 minutes. 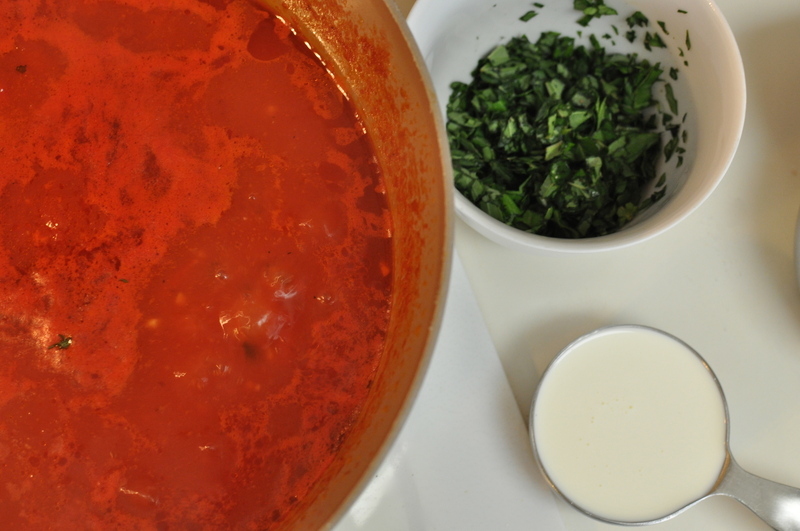 To finish, reduce the heat to low and stir in heavy cream and basil. 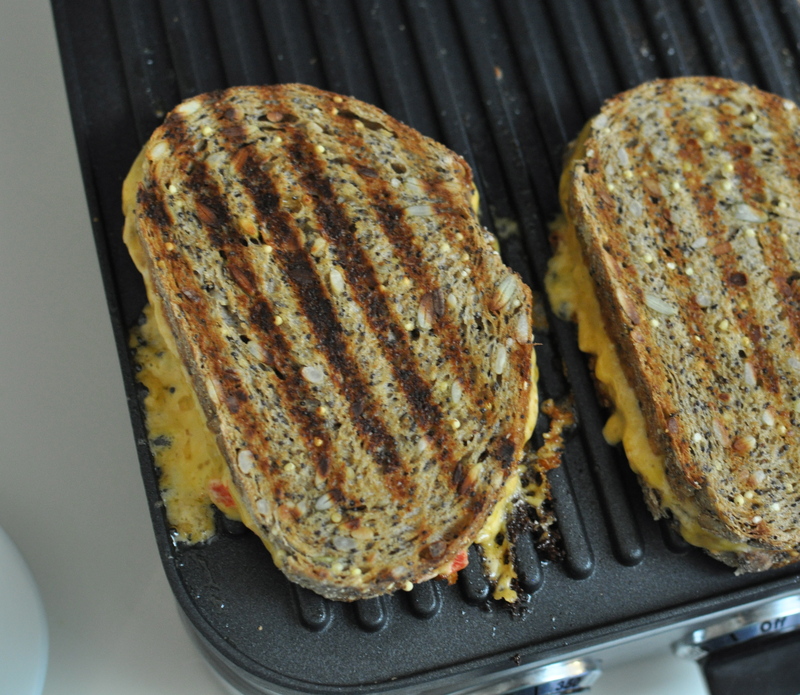 I elected to make grilled cheese panini’s as our side. 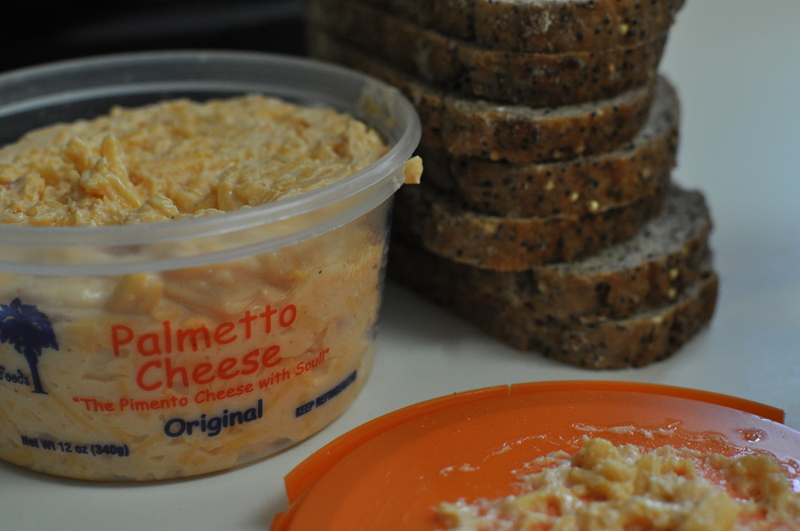 I used a whole grain bread and palmetto original cheddar cheese spread. This stuff is good! Butter the outside slices of bread and place onto “griddler” until golden brown. Serve while warm!! This all looks delicious !! It is! Try it, you’ll love it!